EPIC FTC privacy complaint calls for investigation of Facebook's WhatsApp acquisition. A privacy group wants the FTC to block Facebook’s acquisition of WhatsApp. An information-privacy nonprofit is asking the Federal Trade Commission to investigate and possibly even block Facebook’s $19 billion acquisition of the wildly popular messaging service WhatsApp. The complaint comes from the Electronic Privacy Information Center, a Washington, D.C.-based research group that has also filed complaints in the past over things like Google’s acquisition of the ad service Doubleclick, Microsoft Passport, and changes to Facebook’s privacy policies. WhatsApp users rely on WhatsApp to maintain the privacy of their communications. Facebook has a proven record of collecting user data form companies that it acquires. So users are worrying about what happens to their data now that Facebook and WhatsApp have announced the deal. Our complaint urges the FTC to investigate whether there are sufficient privacy protections in place to continue to shield the data of WhatsApp users from access by Facebook—which (for many users) was the very feature that made WhatsApp so appealing in the first place. Note that this is not a lawsuit—just a complaint filed with the FTC, with the same legal standing as any complaint an individual consumer might file about a company’s trade practices. EPIC notes that the FTC has “responded favorably” to several of its complaints in the past. That said, the FTC did approve Google’s Doubleclick acquisition over EPIC’s privacy objections. And generally speaking, mergers and acquisitions are reviewed for their effects on competition, not consumer privacy. It would therefore be unusal for deal like this to be a blocked on privacy grounds. The FTC does, however, have the authority to bring a suit against a company for unfair or deceptive trade practices, under the Federal Trade Commission Act. Typically the FTC will not confirm or deny its investigations until they’re over, and sometimes not even then if it decides not to bring a case. Facebook has insisted in the wake of the deal that it will leave WhatsApp alone, at least for the time being. And Facebook chief Mark Zuckerberg says he has no plans to bring ads to the messaging service. Still, critics point out that privacy was one of WhatsApp’s biggest selling points, whereas Facebook makes billions by mining its users’ data. 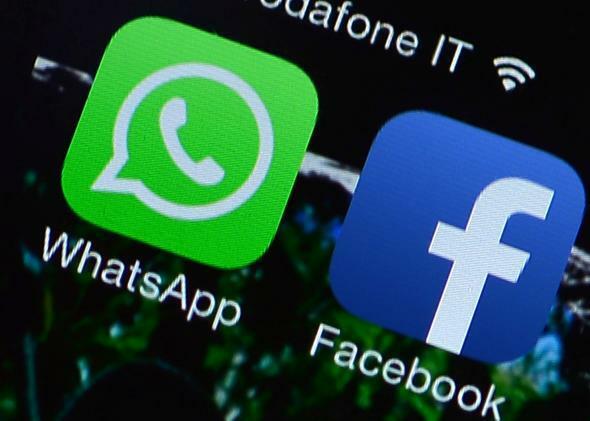 Some WhatsApp users simply don’t trust Facebook to keep its hands off their messages. Facebook’s goal is to bring more connectivity and utility to the world by delivering core internet services efficiently and affordably—this partnership will help make that happen. As we have said repeatedly, Whatsapp will operate as a separate company and will honor its commitments to privacy and security.